Exclusive and rare land plot in the historical tourist town of Signagi for outright sale. 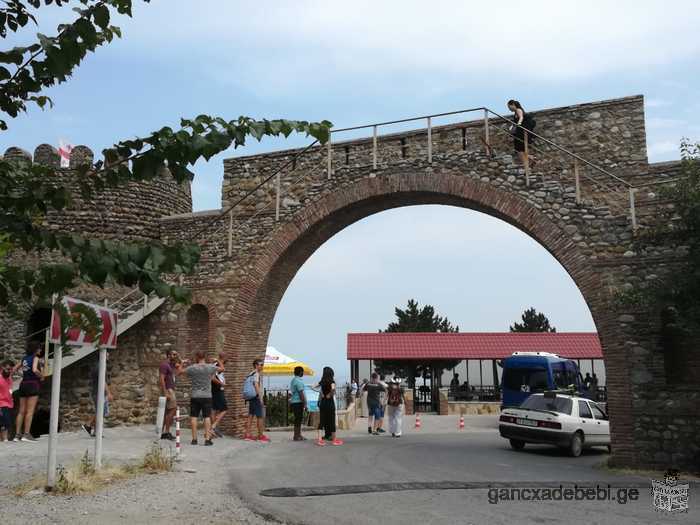 The non-agricultural land plot measures 600 sqm and the dimensions of the plot are 30m x 20 m. The plot faces the historical wall and the arch where tourists always throng. The plot is situated directly on the asphalt road and has sweeping views of the Signagi Valley and the beautiful Caucasus mountains. Ideal for building a boutique hotel having 25-30 rooms with valley and mountain views. Excellent opportunity for investors who want to invest in the fast growing tourism and hospitality industry of Georgia. near the black sea seaside about 300-400m. at Qobuleti. price: call for arrangment. Car rent. Tour in georgia. 5 room apartment for rent, 240 yards, spacious and well-designed. 4 bedrooms, huge living room and a spacious kitchen. Huge balcony. Full furnishings and electrical products. New renovation. Apartment is in the center of Tbilisi, near Rustavei metro and bus station (5 minutes walking). It has 1 living room, 2 bedrooms, kitchen, bathroom and 2 balconies. There is also fireplace in apartment.